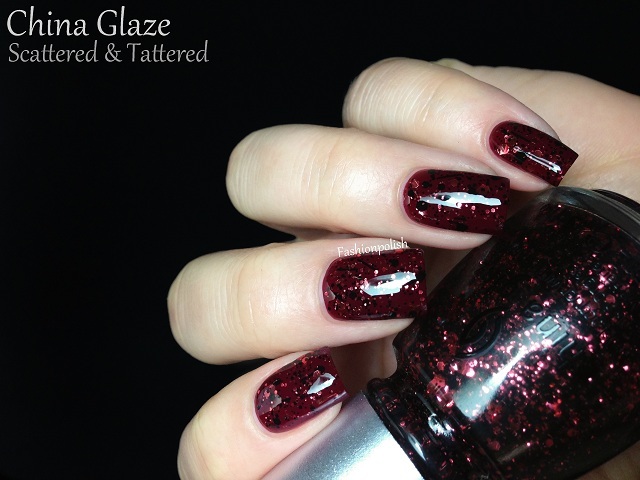 Hi everyone, today I have the latest China Glaze collection to share with you! 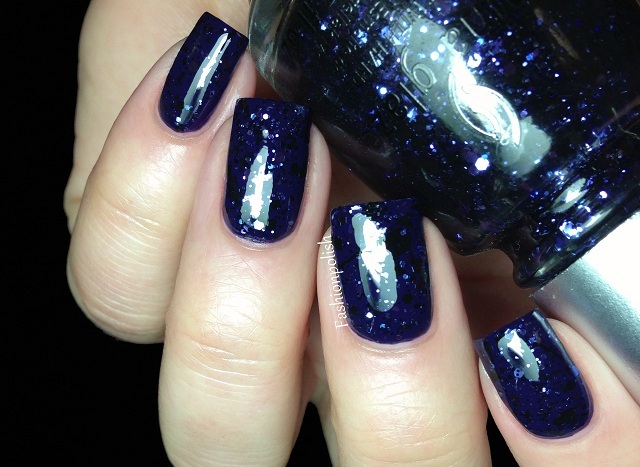 The Glitz collex consists of 6 clear based glitters : mixes of black and colored pieces in different shapes and sizes, mainly hexes and bars. Glitz ’N Pieces , silver & black mix. One coat over China Glaze Recycle. Razzle Me, Dazzle Me pink & black mix. 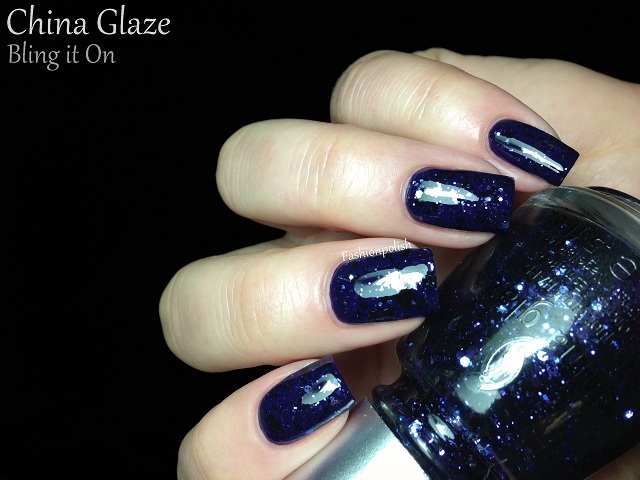 One coat China Glaze Ingrid. Scattered & Tattered red & black mix. One coat over China Glaze Merry Berry. 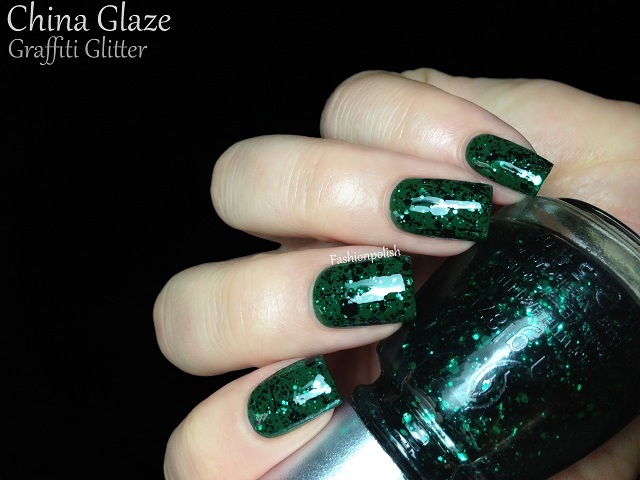 Graffiti Glitter green & black mix. One coat over China Glaze Holly-Day. Mosaic Madness blue & black mix. 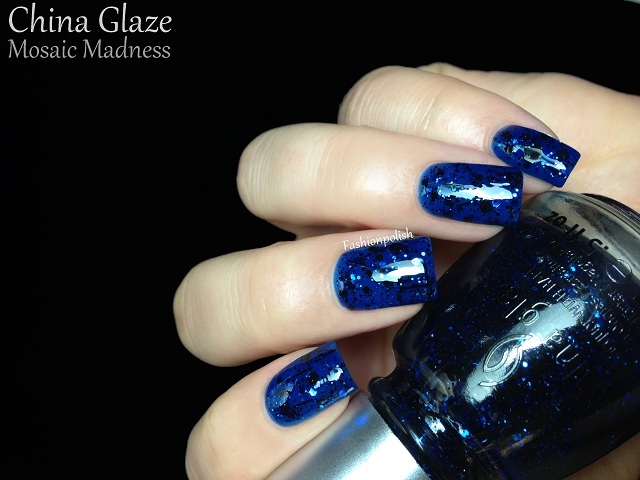 One coat over China Glaze Ride The Waves. Bling it On blurple & black mix. 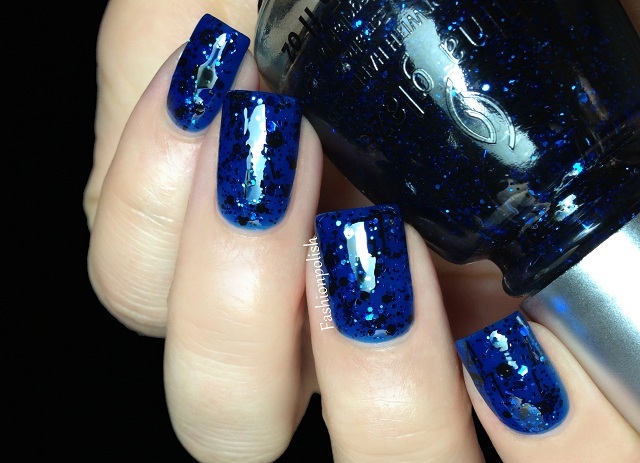 One coat over OPI Roadhouse Blues. Formula- wise these were all relatively easy to work with : the glitter payoff was fantastic and one single (dabbed) coat was enough to obtain a really nice coverage. I'm also loving the effect and color range of the collection, I'm not such a bar glitter fan but I don't mind them at all here. What do you think about these? Did you pick any of them? I picked up Scattered and Tattered it was the only one that caught my eye. I love the merry berry with the scattered and tattered . Great combo. I love these! Definitely on my wish list! I love the combos you used too. These look so neat! I'll have to try them out! Thanks for sharing. Great swatches, and fantastic pictures. I've thought these were really ugly in all other swatches I've seen, but you've chosen the base colours so perfectly that they look amazing! I got Scattered & Tattered and Glitz & Pieces and I'm kinda undecided on whether I like them or not. 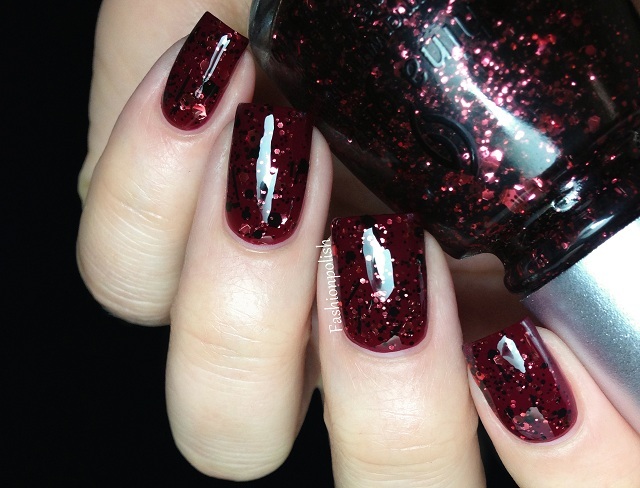 I like the look of them, but there is so much glitter that I find it kinda hard to cover it all with top coat. I ended up with glitter pieces coming of where they were overlapping other glitter pieces. Oh I would love to have the whole collection. So gorgeous!! Oh wow!! these look great! 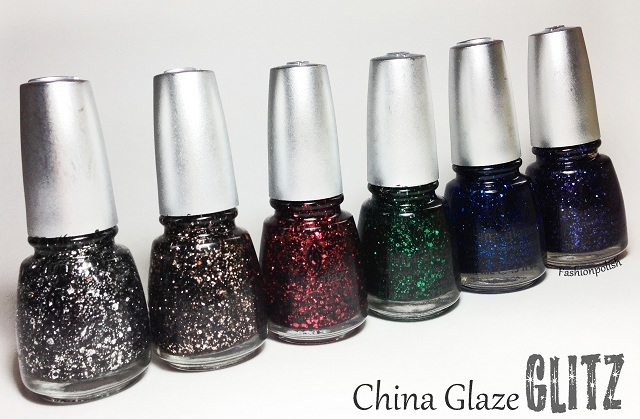 I haven't bee excited for a China Glaze collection in some time now, but I think I may need these! 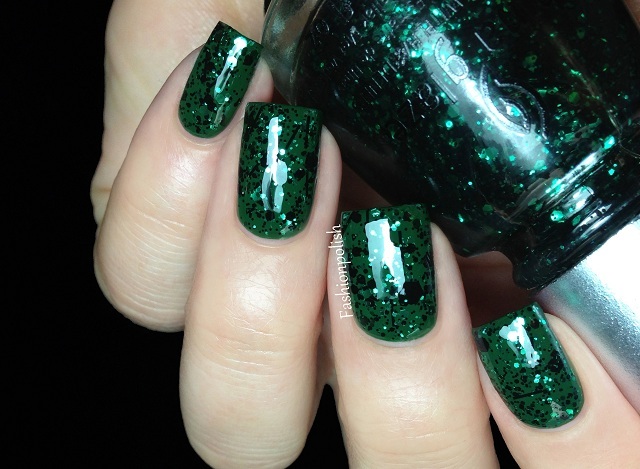 the green looks fab with the base colour too, and who doesn't want Glitz and Pieces? You made great combo's :)! I have Razzle Me Dazzle Me and Scattered & Tattered and had the hardest time figuring out what to layer them over. Your base color choices are AWESOME! Your swatches are always the best!! Loved! Of course, your swatches make me want all of these! Wonderful, Sam!